Kristi Rogers Haddock was born and raised in Cary, North Carolina, where her family has lived for more than 100 years. Kristi earned her undergraduate degree in child life, with a minor in business administration from East Carolina University. While at ECU, Kristi spent a semester interning with the Pitt County Public Defender’s Office, where she was first introduced to the criminal justice system. Throughout law school at Campbell, Kristi focused her coursework, activities and internships on criminal law and trial advocacy. Before her last year of law school, she traveled to St. Andrews, Scotland where she completed the rigorous Baylor Academy of the Advocate, Advanced School of Trial. Kristi interned with the Chatham County District Attorney’s Office, Wake County Public Defender’s Office, Wake County District Attorney’s Office and Johnston County District Attorney’s Office during law school. Through each of those internships Kristi fine-tuned her courtroom and trial experience. In 2015, Kristi received the North Carolina Advocates for Justice, Most Outstanding Advocate award. After graduating from Campbell Law, Kristi began serving as a Volunteer Assistant District Attorney in Wake County. Kristi successfully prosecuted a variety of misdemeanors, traffic infractions and Driving While Impaired charges. While serving as a prosecutor, Kristi’s desire to switch to criminal defense developed. 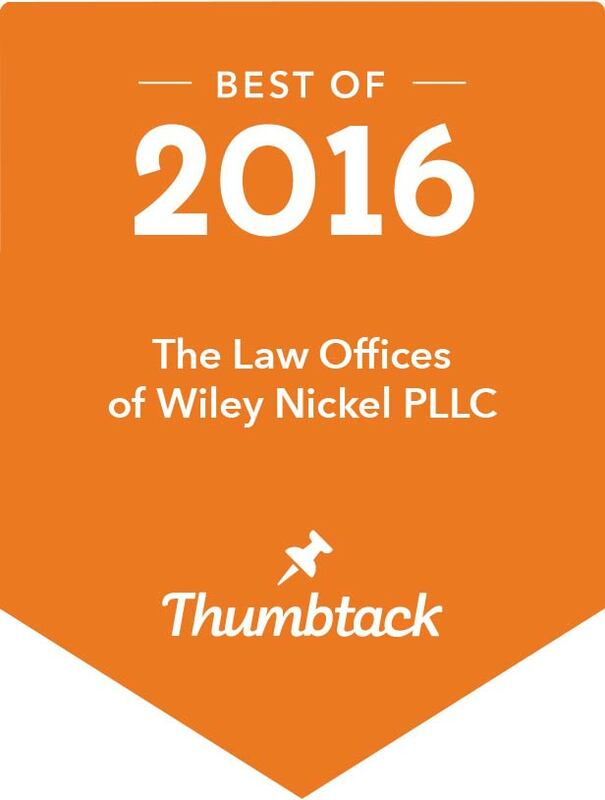 Early 2016, Kristi joined The Law Offices of Wiley Nickel, PLLC as an associate attorney. Kristi married Drew Haddock in October of 2015. Together they have a goldendoodle named Opie. They are members of The Summit Church in Cary and like spending time with family and friends. Kristi enjoys beach trips to Emerald Isle, cycling classes, and watching football. Go Pirates and Panthers! Multiple Convictions of Driving While License Revoked. Conviction of a High Speed. Conviction of an Out-of-State High Speed. DWI related Refusal of Breath Test. We will help you at every stage of the process with your DMV issue. Give us a call so we can pull your driving record and help you get back on the road! Misdemeanor drug charges, can become a black mark on your record. Fortunately, there are many ways to keep your record clean if you find yourself in court with a drug case. We have experience fighting drug cases at trial, and also work closely with the first time drug offender program (90/96). Let us review your case, so that we can discuss the best option for you. If you were charged with Driving While Impaired, you likely lost your license immediately for 30 days. We can help you get a limited privilege to drive to and from work after just 10 days. When fighting your DWI, it is important to have an attorney on your side who will take time to explain the process to you, and who will research the facts of your case. We will provide you with all the information that you need upfront, so that you will not be surprised by additional cost such as the cost of court, and cost of alcohol treatment. DO NOT PAY OFF YOUR TRAFFIC TICKET! Paying off a traffic citation in court or online can be an admission of guilt and can result in points on your driver’s license. This can result in substantial increases in your insurance premium or even the loss of your driving privilege. Depending on your driving record, you may be eligible to get your traffic offense dismissed or reduced to the non-moving violation of improper equipment without you personally having to take time from your daily life to appear in court. A non-moving violation has no effect on your insurance and comes with zero DMV points. We handle traffic tickets in Wake and Chatham counties, we would love to help you! Pleading guilty to a driving while license suspended charge may suspend your driving privilege for an additional year. Driving While License Revoked (DWLR) is a class 3 misdemeanor that can impact both your financial future and your driving privilege. Additionally, it carries eight (8) insurance points, causing a 190% increase in insurance rates for three (3) years. Depending on the facts it may be possible to secure a reduction or even a dismissal. There is hope if you have a DWLR ticket. Call us to review your case. If you are a first time offender, we can walk you through the many options to get your case dismissed. Teen Court is a great option for teens up to the age of 17. The first offender's program requires the completion of community service hours to earn a dismissal. The 90/96 program requires completion of drug/alcohol treatment. Give us a call to find out if you qualify for one of the programs offered by Wake County.